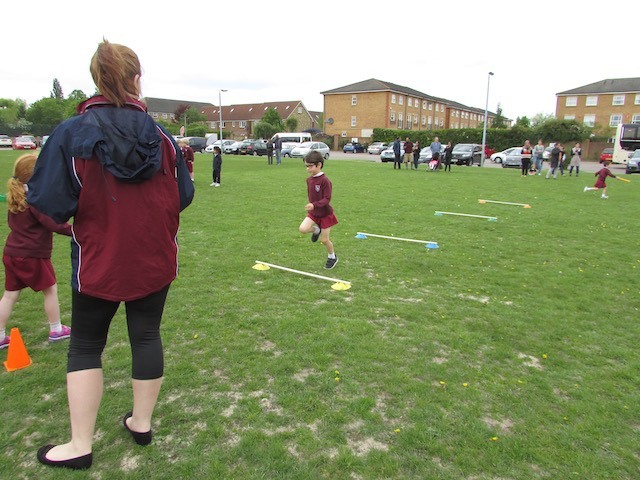 On Tuesday the Years 1 & 2 children competed alongside the Westbury House children in a Mini-Olympics, held at the Hawker Centre. The children were in mixed teams of 10 and enjoyed the sack race, shuttle run, obstacle course, hurdles, beanbag throwing, jumping and relay races. 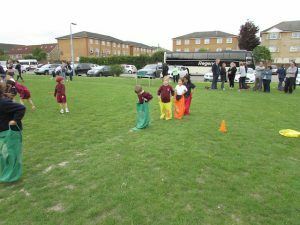 The children from both schools all worked together beautifully in mixed teams. Each child was awarded a certificate for their outstanding effort and performance. 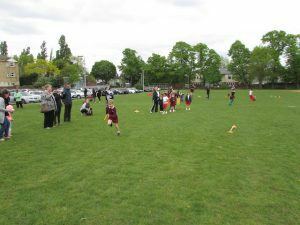 Parents enthusiastically cheered the children on and everybody had a wonderful afternoon. “The mini-Olympics was a lovely idea, especially with the 2016 Olympics in Rio only months away. 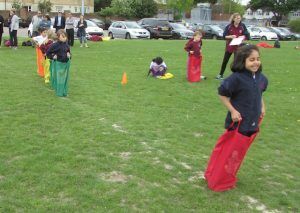 Westbury House always make fantastic competitors and, like the sun, all the children’s enthusiasm shone through. 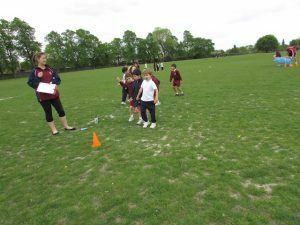 The relay and bean bag throwing created the loudest cheers from parents. 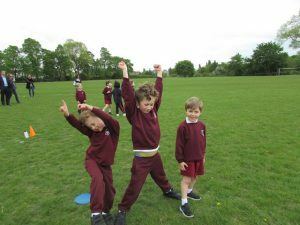 Juices, kit-kats and certificates for all made it a day to remember.” – Jane Lloyd, Year 1 parent.